Seems I had an overwhelming response to write this one up and share with you, so that is exactly what I'm doing! So many of you had such lovely ideas with what to do with it, too! The triangles are rated as Easy and work up quickly using little bits from your stash. These are all made in Red Heart Soft, a worsted medium (4) yarn, which I detail in the pattern, but you can make them with a different weight yarn or hook size, too. In fact, the bits came from leftovers from this Design Wars creation--the Mariposa Throw. Because it gets requested so often, as well, rather than have the pattern detailed here on the blog, I have written it up in a downloadable PDF that you can get in my Ravelry shop here, or from my Craftsy shop here. By the way, this one has not been tested so if you have any issues, please PM me on Facebook. Have fun and feel free to share pictures of your buntings on my Facebook page! And if you are an Instagram user, you can follow me there (@FeltedButton). I'm off to play with this loveliness! | On the Board | -- The journey of a thousand miles begins with one step...so watch your step. Thank you so much, Bj! Love, love, love these cute little bunting triangles .... really cheerful! Hanging colorful little buntings really makes me happy! Thanks! Love Buttons! Thank you - this is so cheerful! I'm so happy you found me! Come back and visit again soon--I'm always adding fun and colorful things to hook! Such a cute bunting! I love the bright colors! Thanks for stopping by! I'll link up, for sure! Thanks, Marijke! 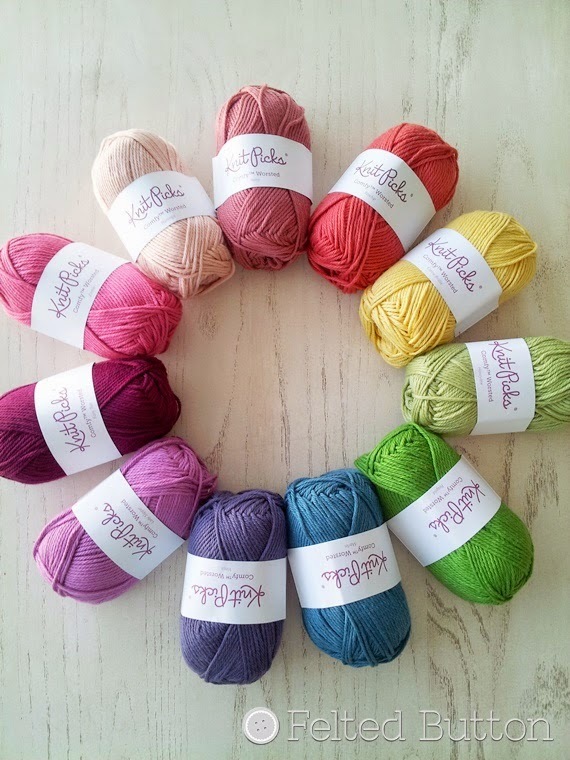 It's fun for a little spot of happy crochet! Certainly, Sarah! Please check your email! This sounds like a blast! Thank you so much for making this Ravelry download a free bunting pattern. It's so pretty and much appreciated!